Join Lifesource Yoga at Elevate Akron on November 22, 2015. This one-day, free yoga festival celebrates the Soul of Akron through body, mind and breath. Sunday, November 22nd from 4:30pm-8:00pm at the University of Akron Athletics Field House. 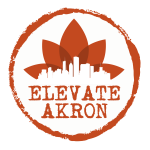 Visit http://www.elevateakron.com for more information or to RSVP.